Reliable biomarkers for renal cell carcinoma (RCC) have yet to be found. Circulating-tumor DNA (ctDNA) is an emerging resource to detect and monitor molecular characteristics of various tumors. This study aims to clarify the clinical utility of ctDNA for RCC. RPD resulted an independent predictor of renal function in patients treated with RN for a renal mass and deserves special consideration as a prognostic parameter. These observations support renal biopsy of non-tumour tissue for the analysis of RPD at final pathology after RN and imply a paradigm shift in the current pathology protocols. We have obtained a urine profile of 3 miRs with potential diagnostic value for ccRCC. We also identified 5 dysregulated miRs in patients comparing before and after surgery, and other 5 dysregulated miRs comparing patients and controls discovering an easy and non-risk procedure to achieve a closer personalized follow-up in high-risk patients. 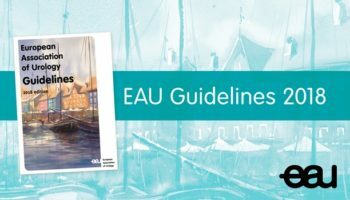 EAU Edu Platform highlights the best curated content in kidney cancer varying from scientific publications to practical tools and educational materials.